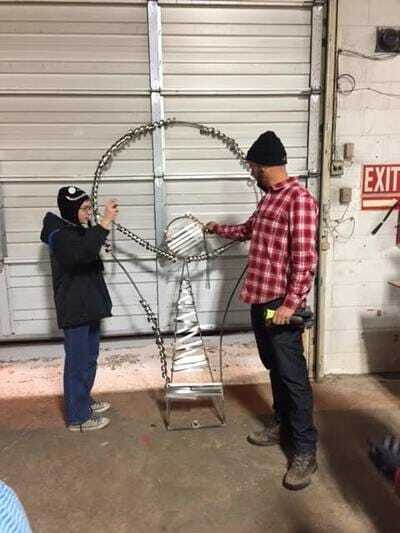 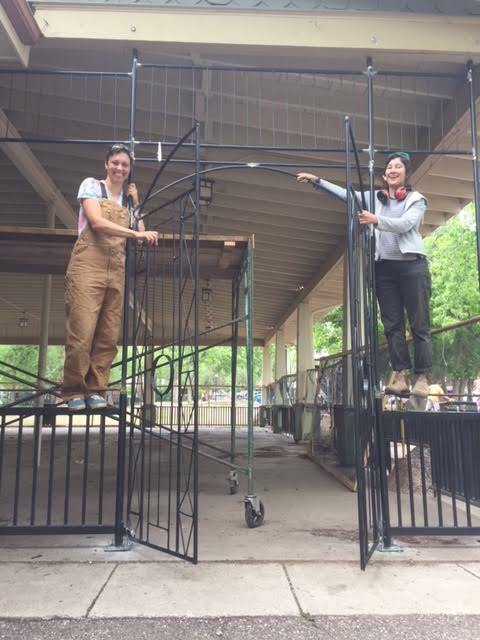 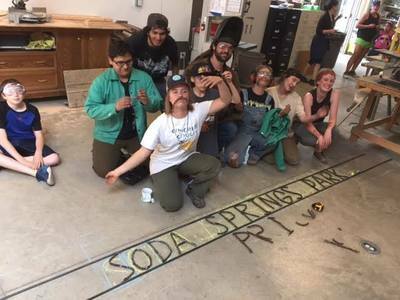 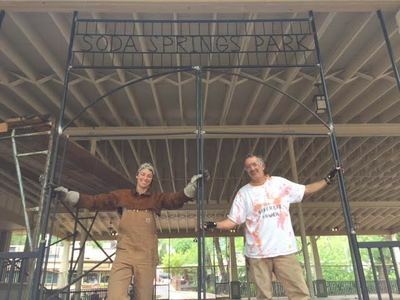 Concrete Couch unveiled the fence and gates at the Soda Springs Pavilion! 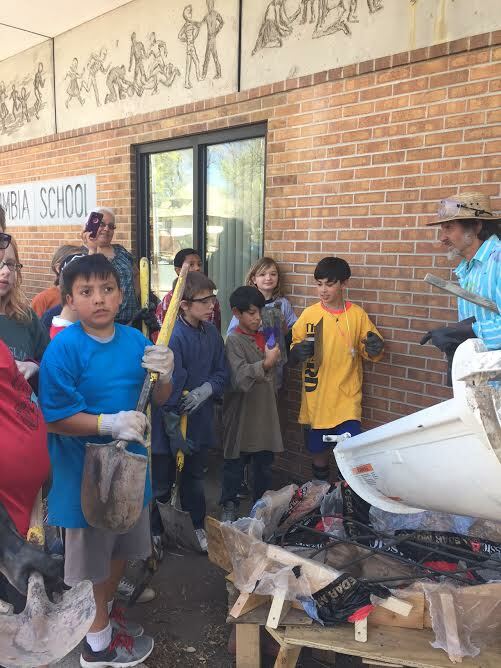 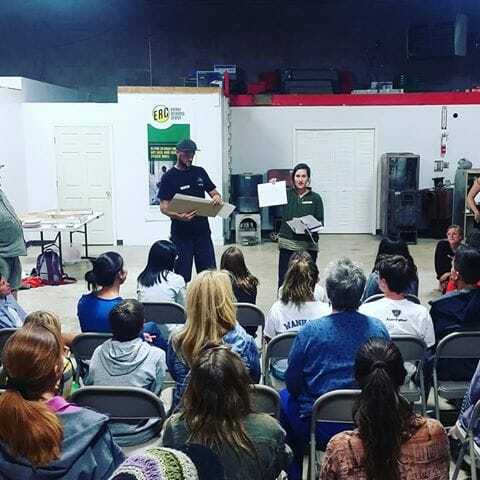 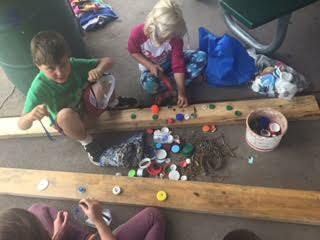 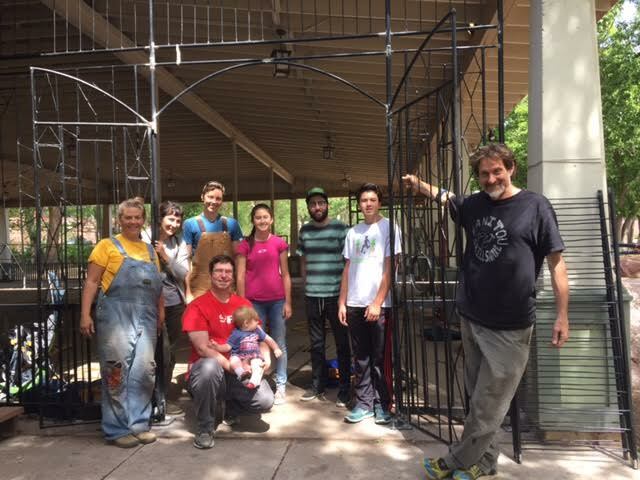 We are so thankful to everyone in the community who came together to problem solve a way to reclaim the pavilion and make it an inviting space for everyone. 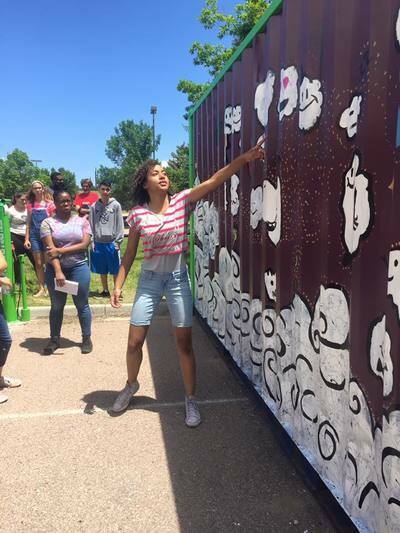 Thank you to our volunteers, sponsors, and to the organizations and businesses that donated and made this project possible! This summer, with the help of community volunteers and our 15 interns we accomplished some amazing things!! 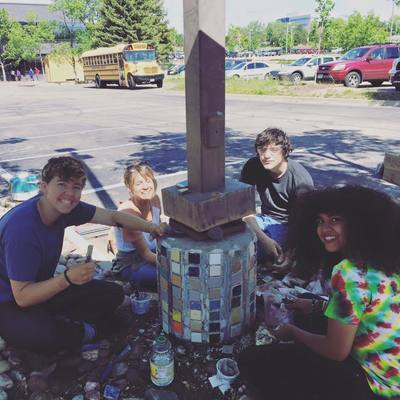 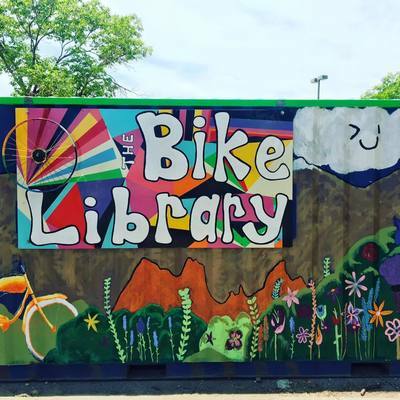 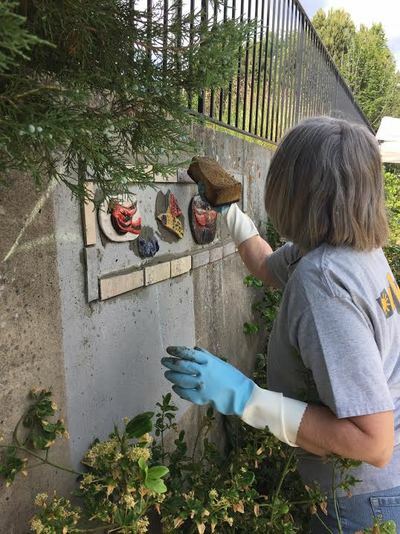 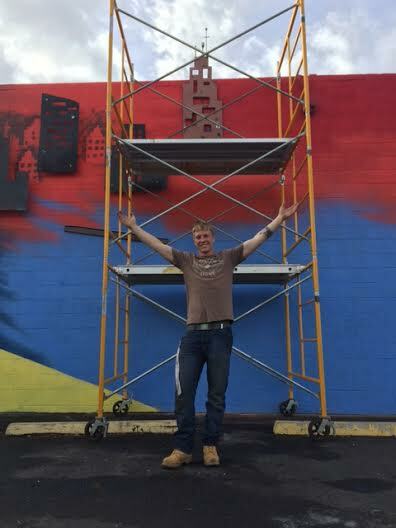 WEEK 1- We completed a mural at Atlas Prep School for their Bike Library- a storage container that holds bikes for loan use, and put mosaic on three light posts and made some recycled benches. 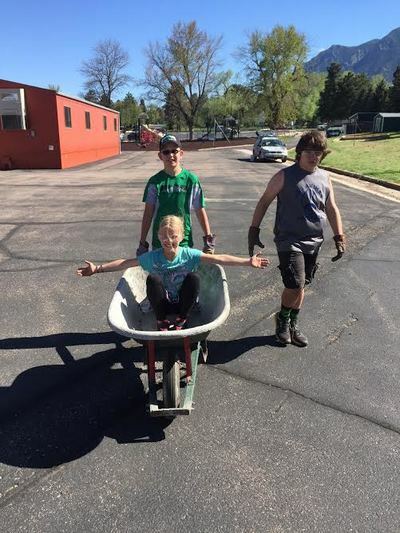 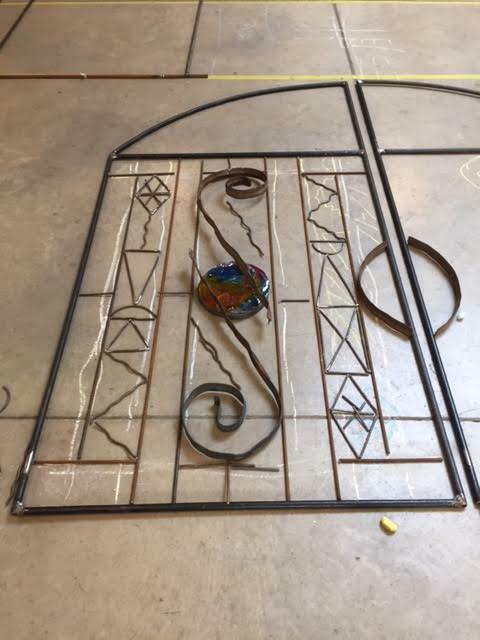 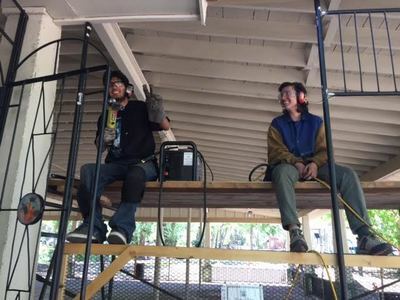 WEEK 2 - We worked at Soda Springs Park building a handicap accessible trail, building a rain garden, and working on the fence and gates. 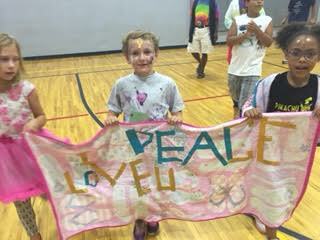 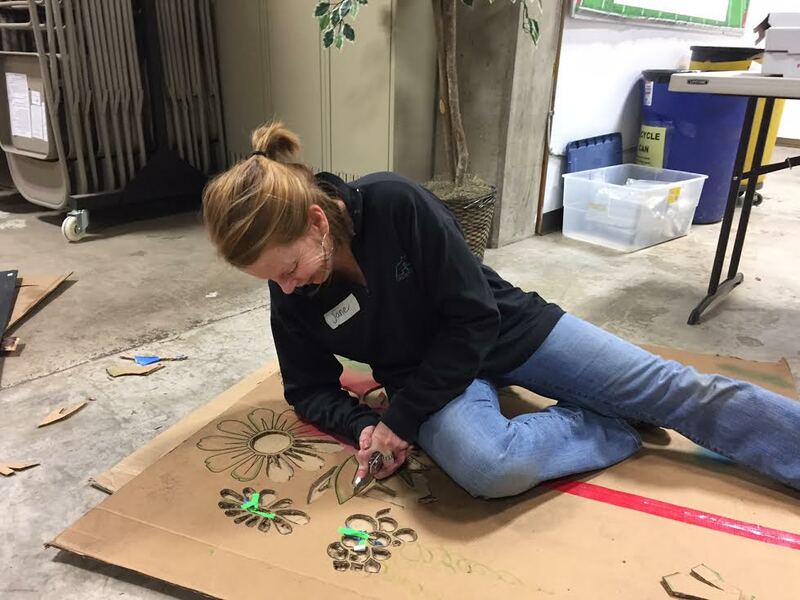 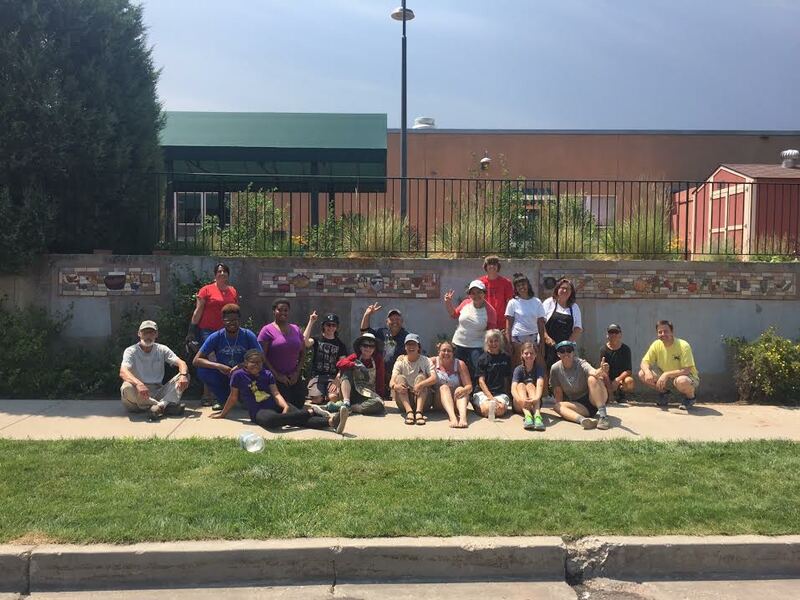 WEEK 3- We did a mural at the Colorado Springs Senior Center focused on activities the seniors enjoy. 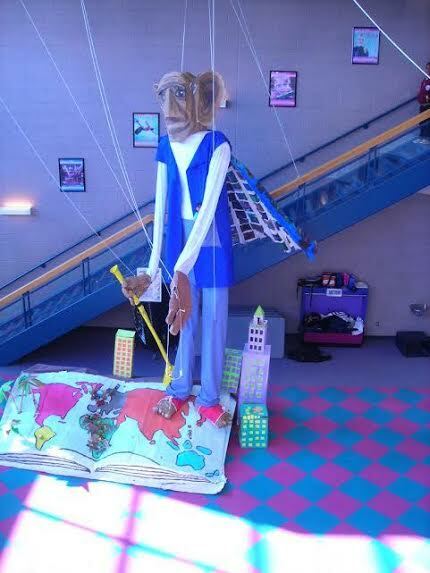 WEEK 4- We made lanterns at the Imagination Celebration at the Citadel Mall. 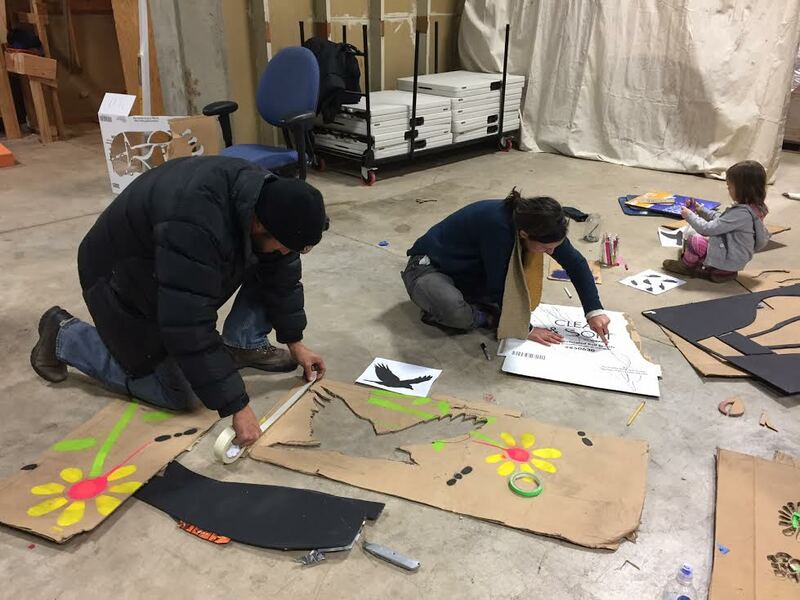 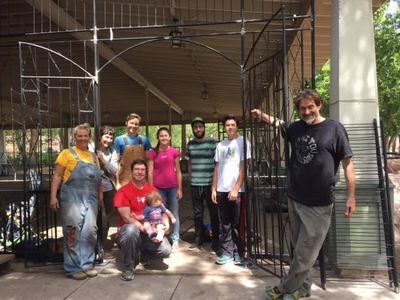 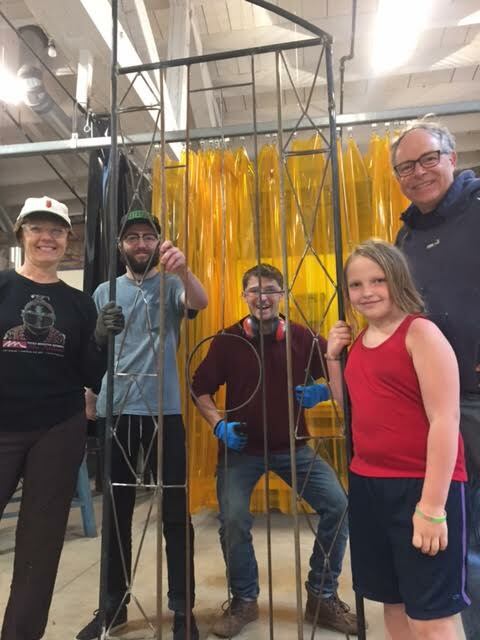 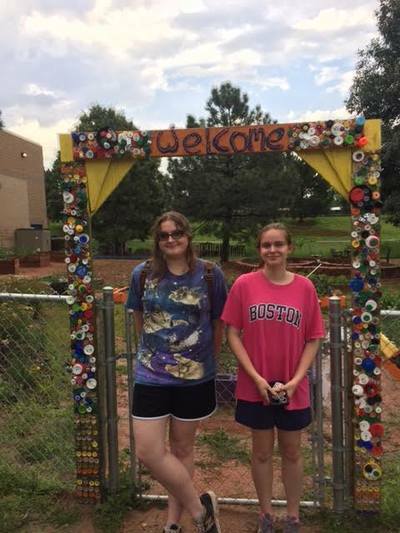 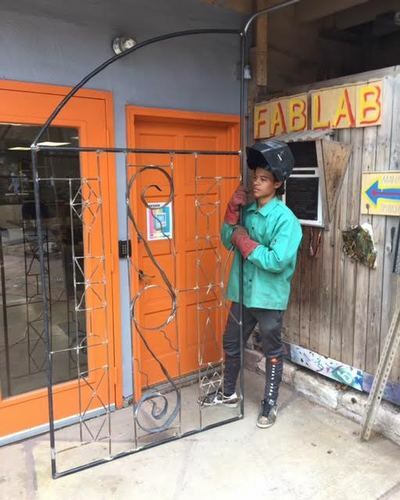 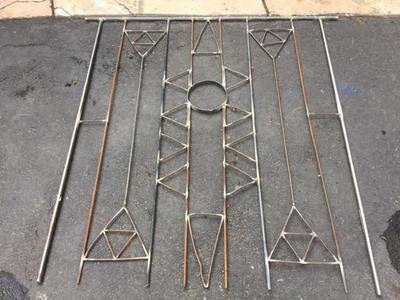 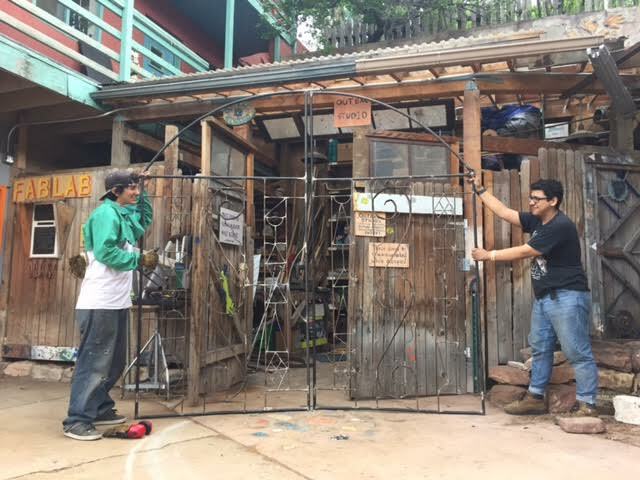 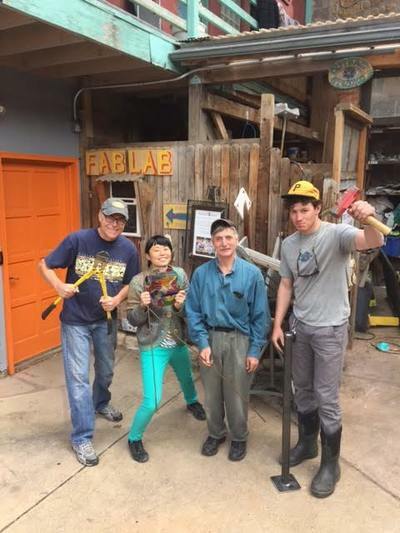 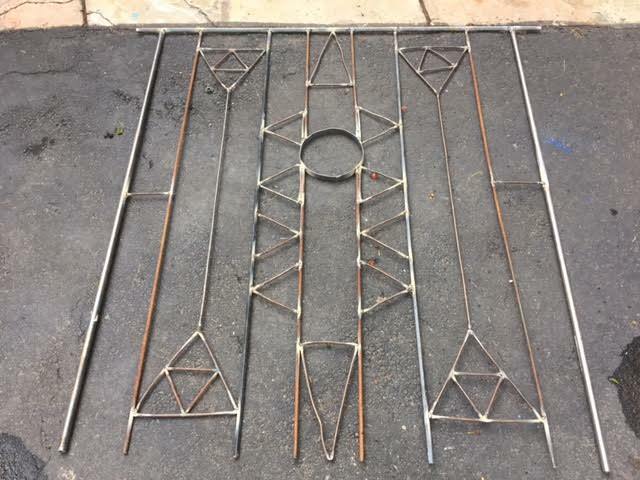 WEEK 5- We made 3 cold frames for growing shoulder-season crops out of recycled materials and decorated the fence at Sunrise Gardens at the Hillside Community Center. 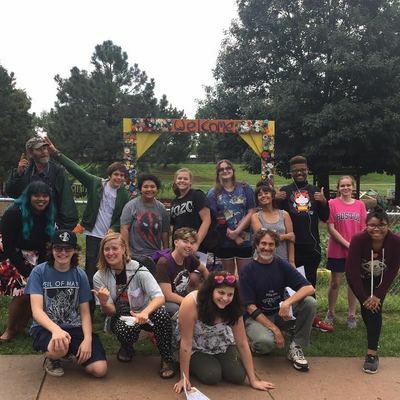 It was a jam packed summer full of fun and community service!! 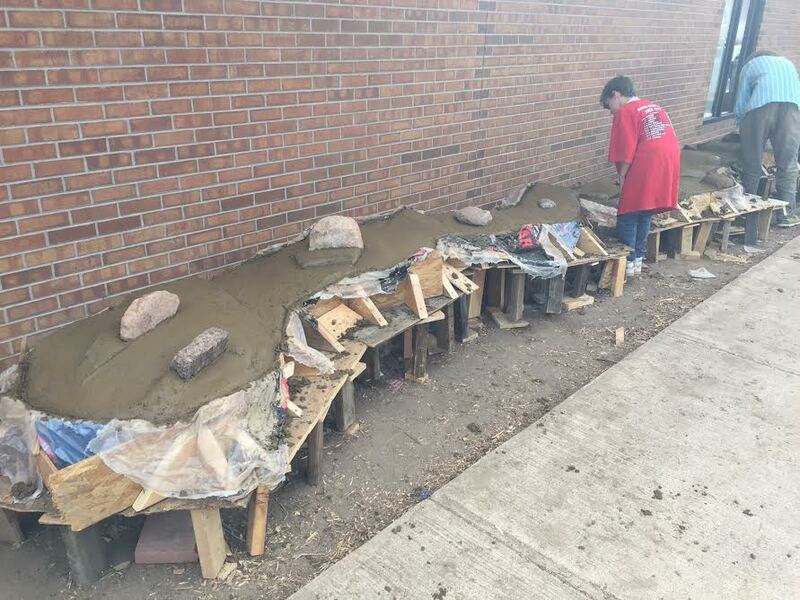 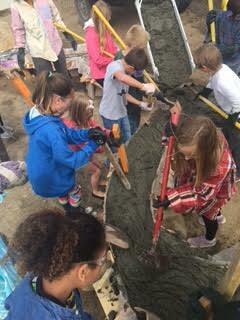 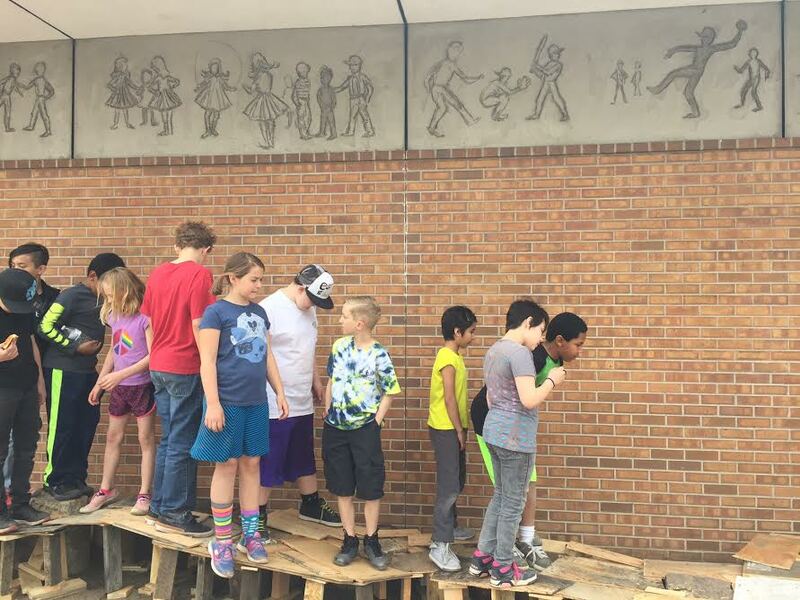 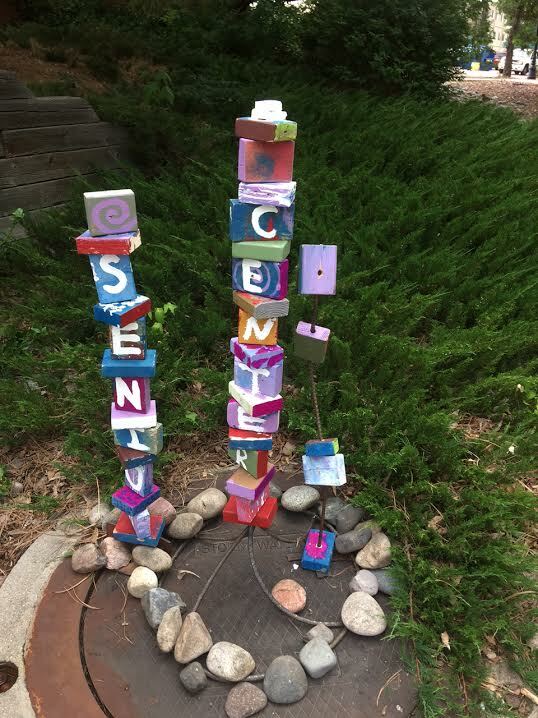 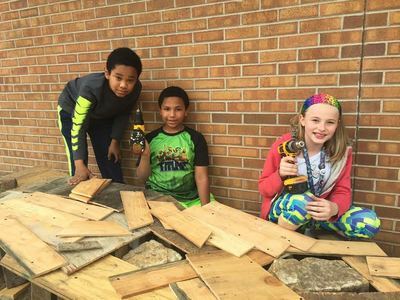 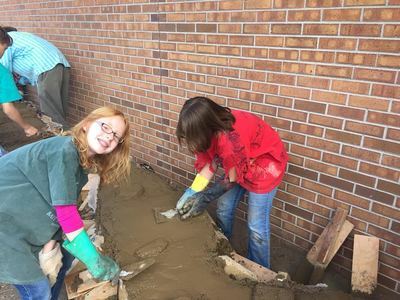 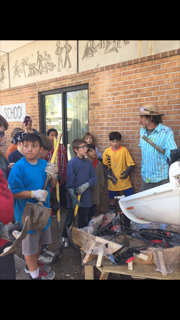 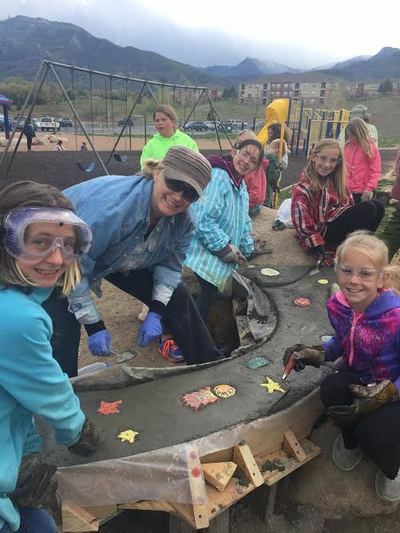 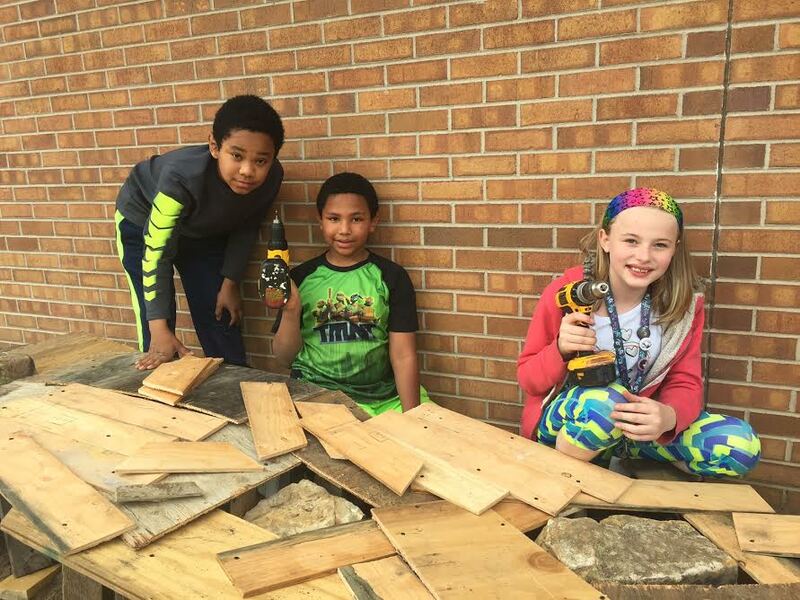 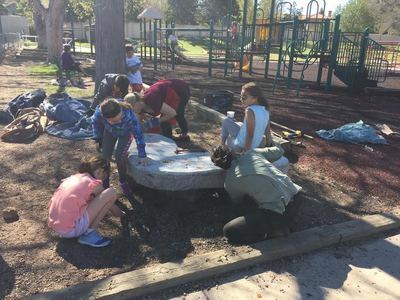 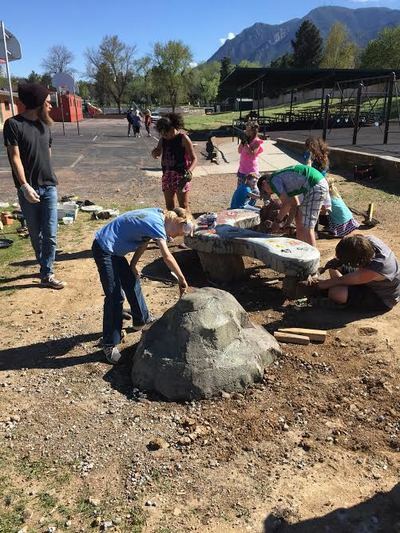 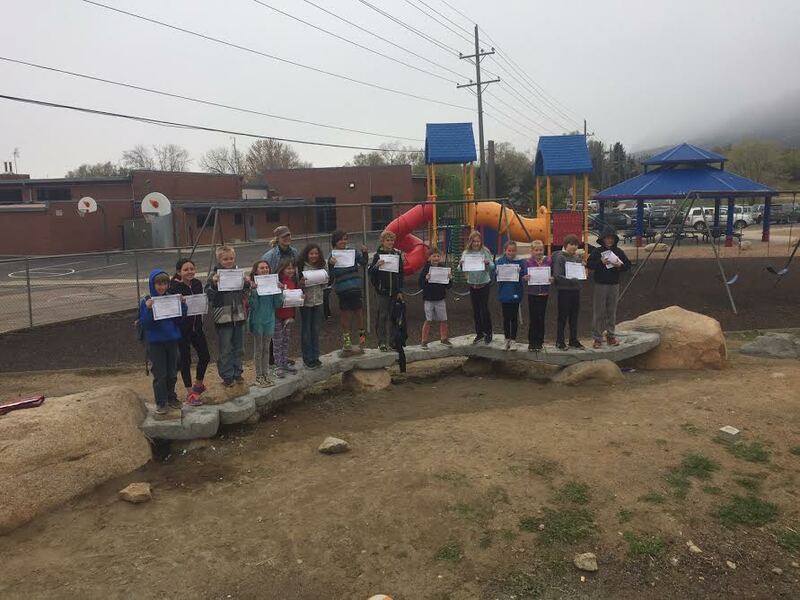 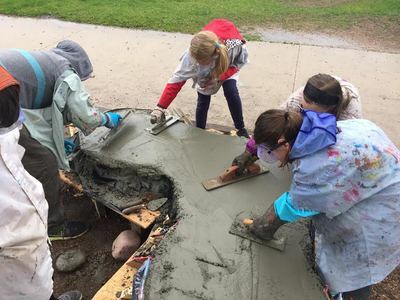 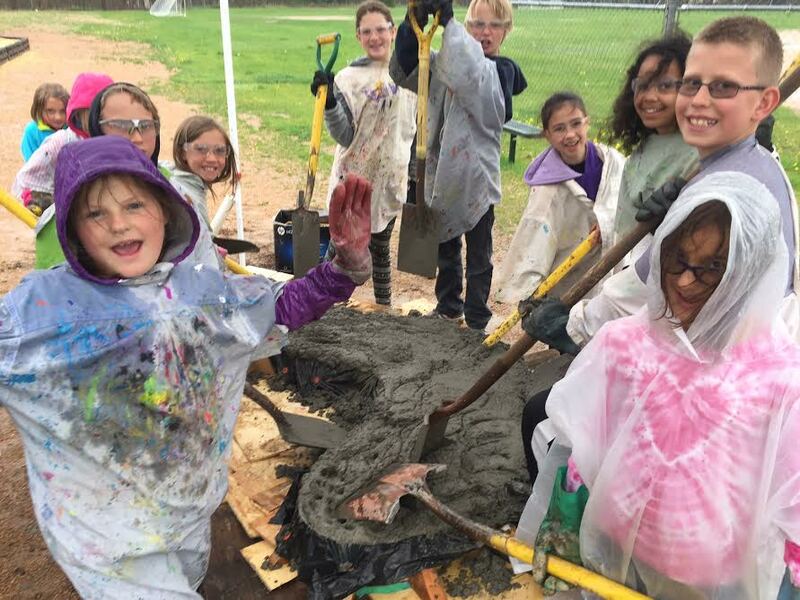 This spring we made 4 concrete benches with 5th graders at Skyway Park, Broadmoor, and Columbia Elementary! 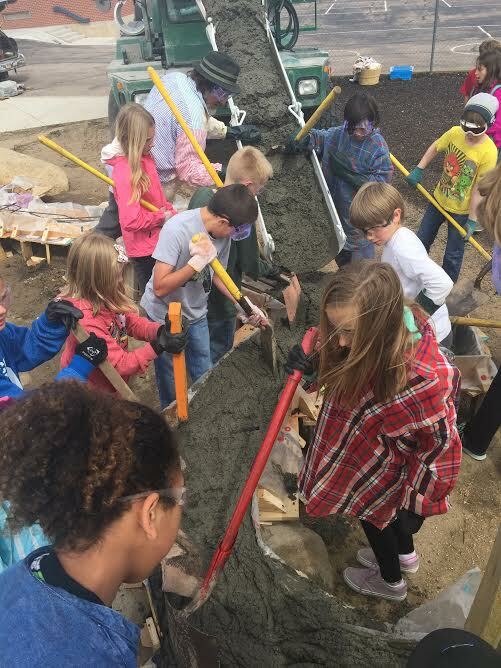 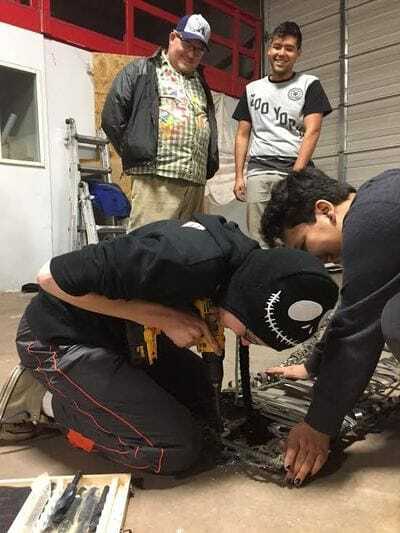 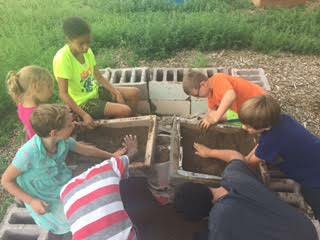 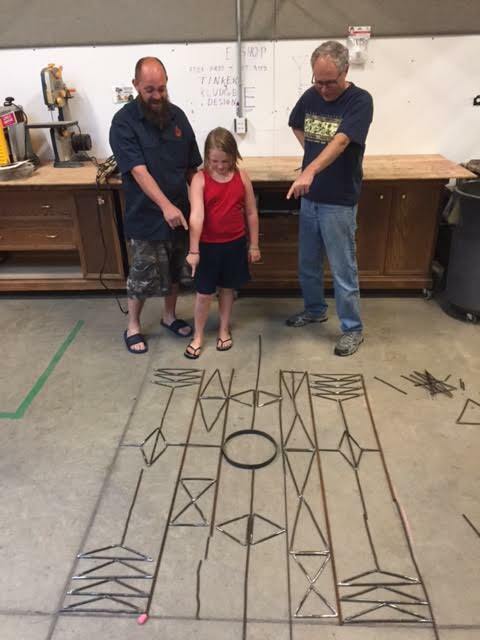 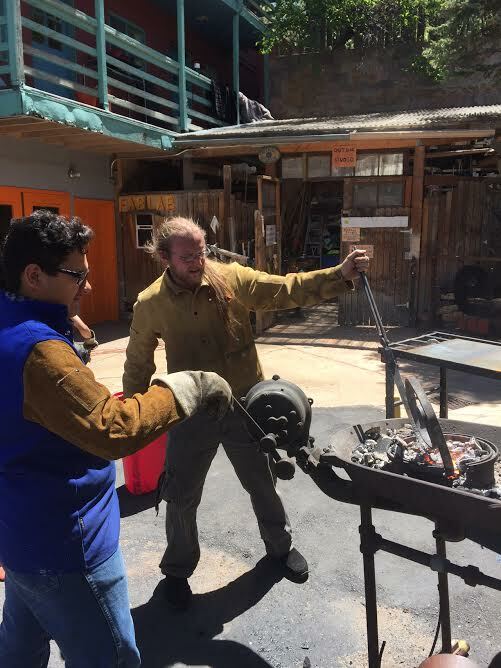 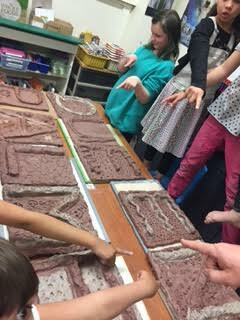 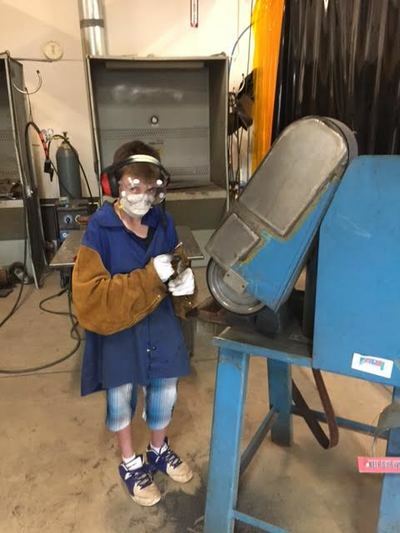 Kids learned tool use, form building, design, concrete pouring, and form busting! 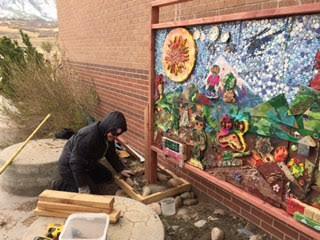 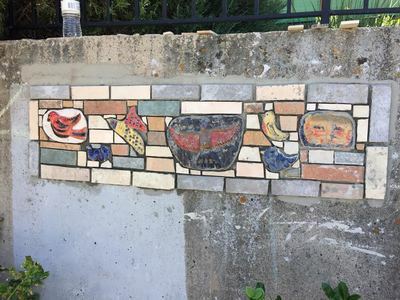 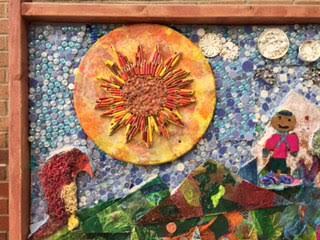 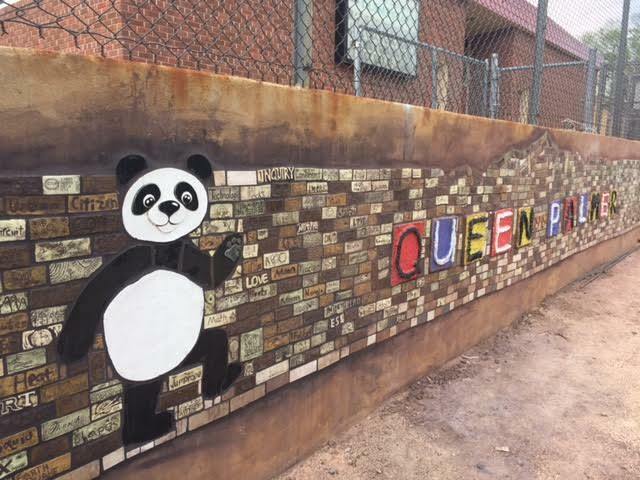 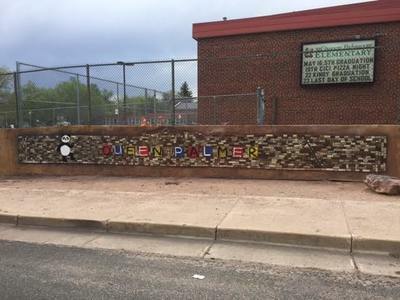 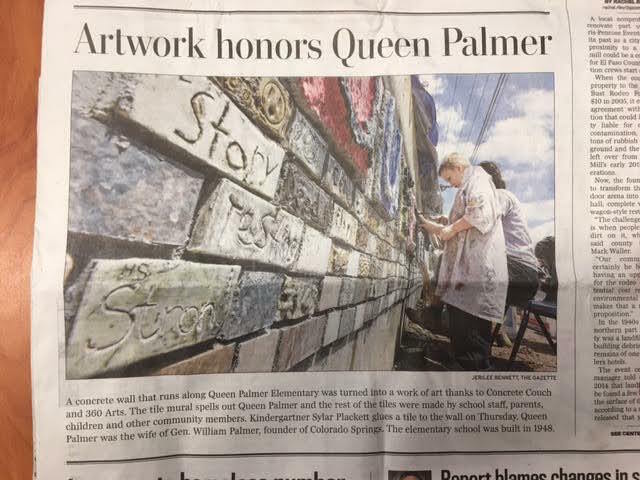 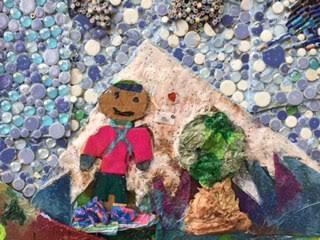 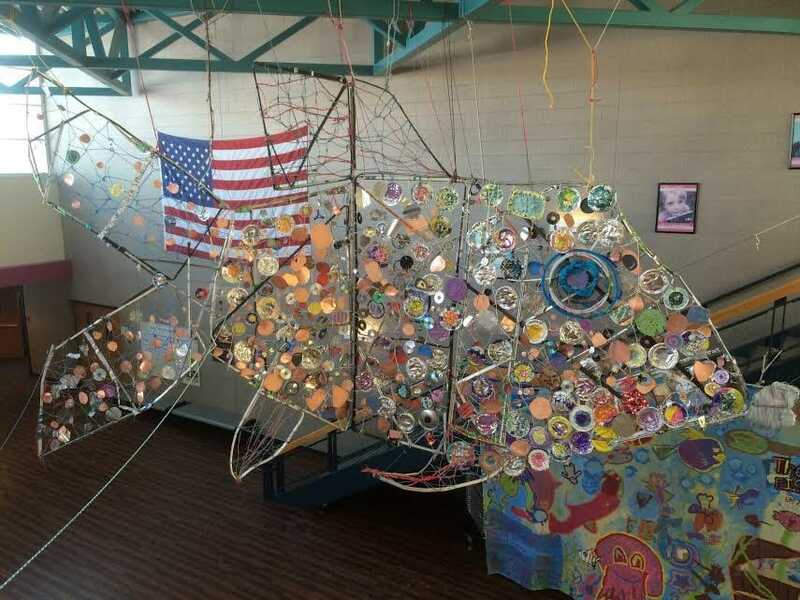 This spring we worked with Dave Kohler at Queen Palmer Elementary to complete a mosaic mural at Queen Palmer Elementary. 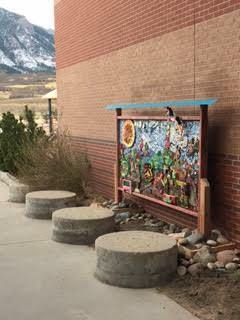 We worked with the art club to design and fabricate the large-scale mural highlighting the schools curriculum and mascot. 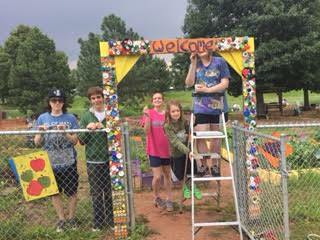 Thanks Dave and all the volunteers! 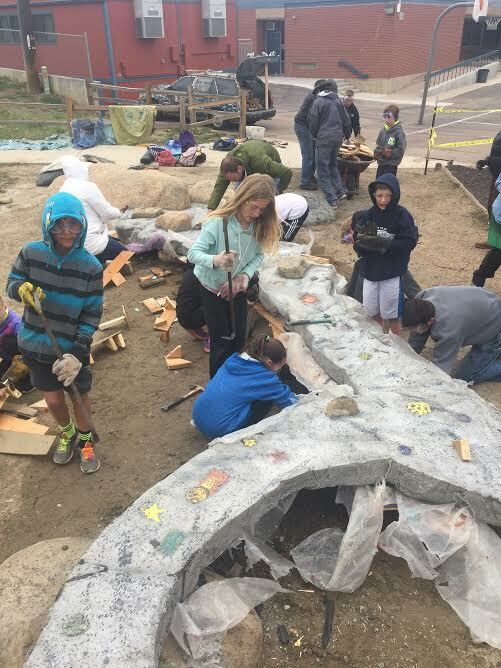 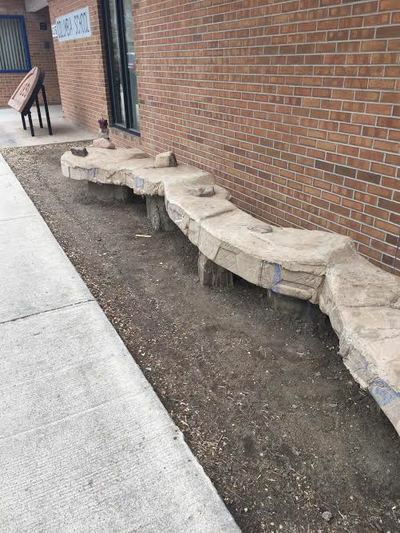 Concrete Couch has worked at Mountainside Elementary School at Ft. Carson for nine years! 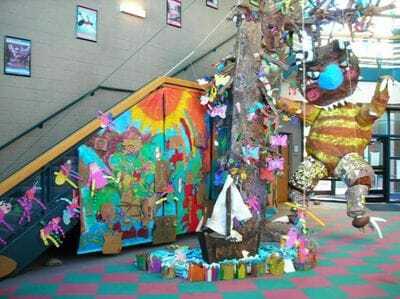 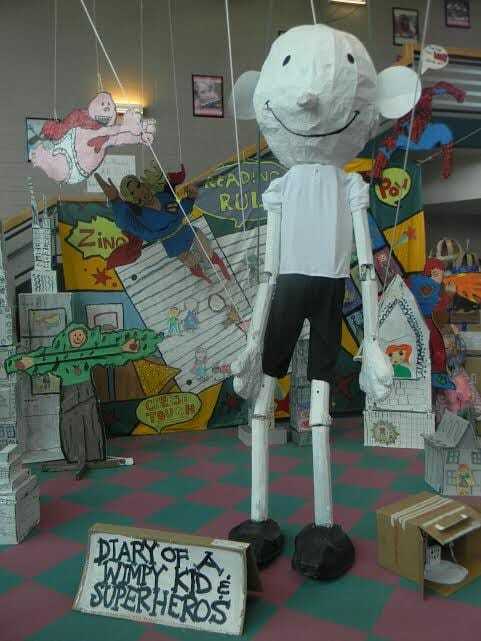 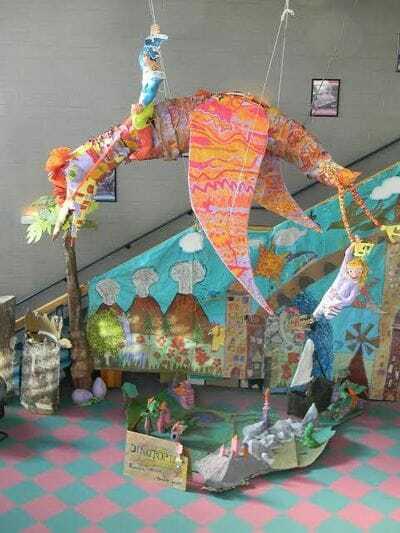 We have built giant literary puppets with students that tap into pre-engineering, fabrication, art, literacy, and drama skills. 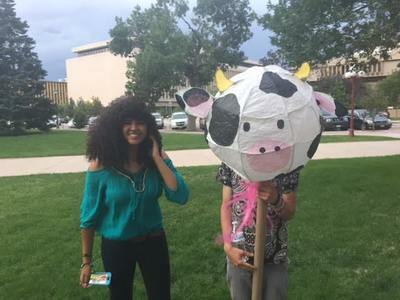 ​This January, we partnered with Write Our World, a Denver-based non-profit that writes e-books with students. 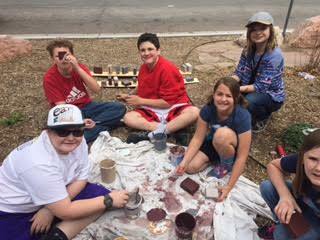 The theme of the books for this project were military life, language, culture, and emotions. Concrete Couch also made a large mixed-media mural with students to illustrate the unique character of the e-books. Visit writeourworld.org for more information about this amazing organization and to see the e-books created by Mountainside Elementary schoolers! 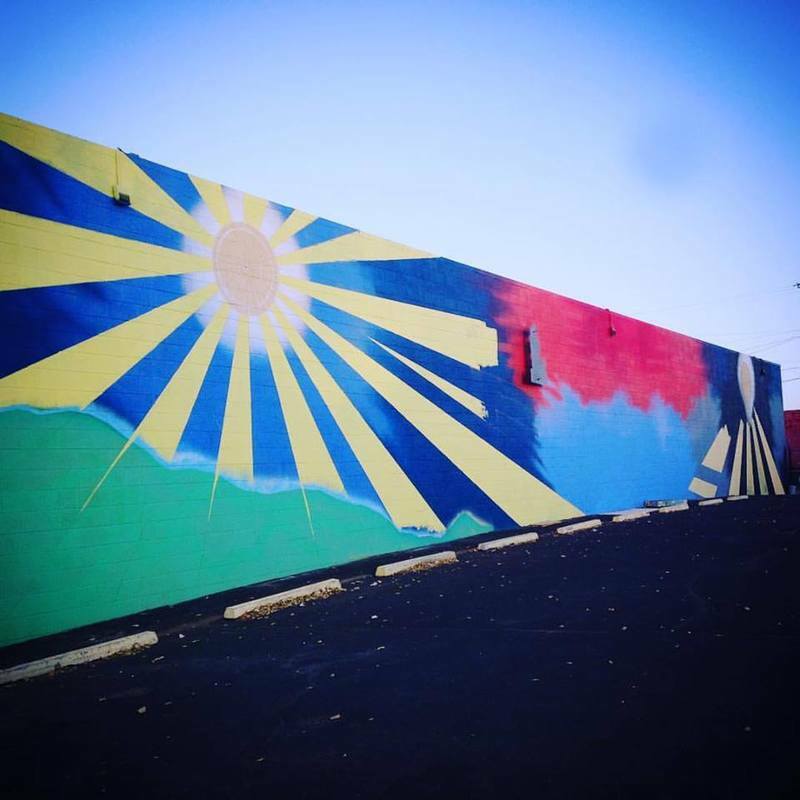 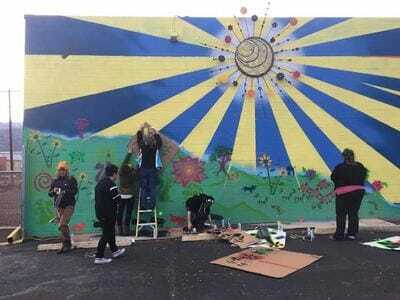 Concrete Couch has collaborated with FUSE and the Energy Resource Center to created a mixed-media community-made mural in the Mill Street neighborhood of Colorado Springs. 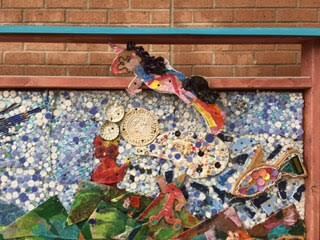 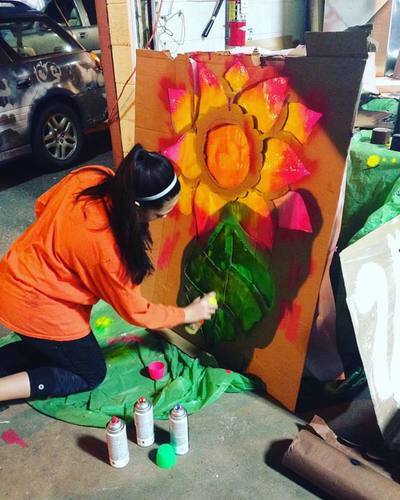 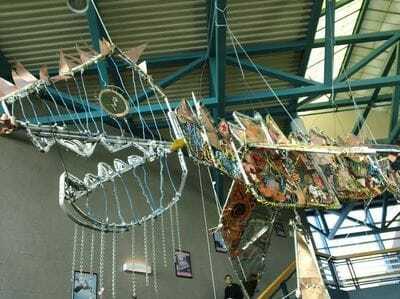 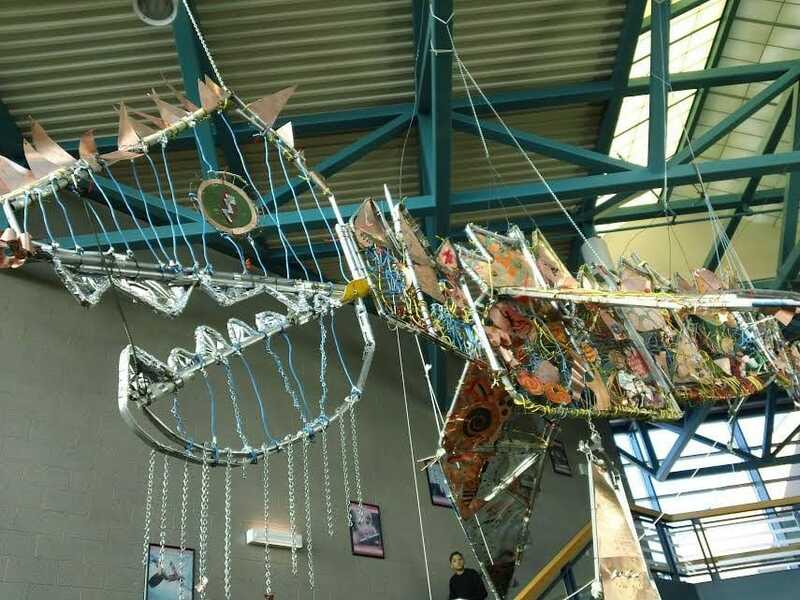 The mural combines elements of spray paint, steel, mosaic, sheet metal panels, and recycled materials. 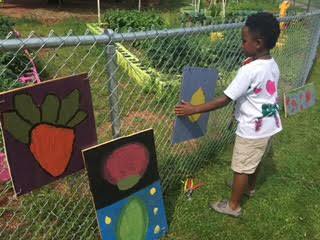 Over 70 community members made this mural possible! 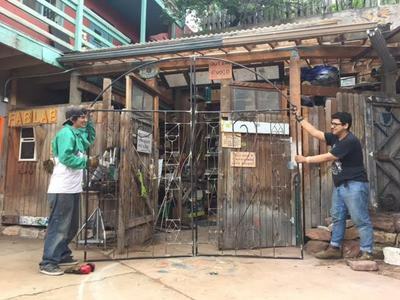 Swing by 114 W. Rio Grande St. to check it out!